People who like to look trendy and fashionable always do all they can to keep themselves abreast of the latest fashion trends. This is what we do as a human, but who says we cannot do the same for the animal we regard as man’s best friend. 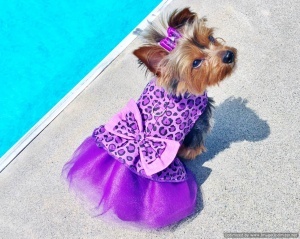 Dressing your dog in lovely clothes and accessories make them look fashionable; and in addition to the distinct look they give dogs, fashionable clothes and accessories depict the dog owner as an adventurous and stylish person. 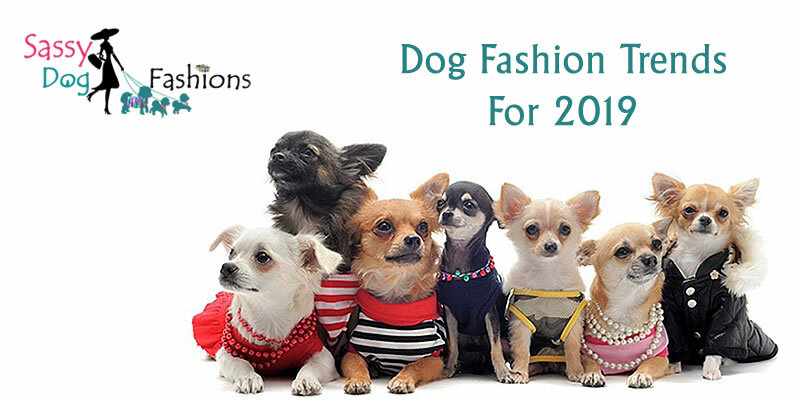 In this post, you will find some amazing dog fashion trends for 2019. Furthermore, although dogs are blessed with natural protection against the elements, many breeds need more protection in the rain and when it snows. 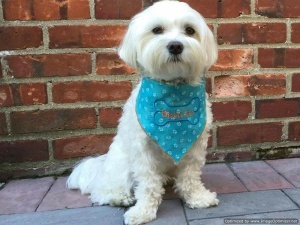 Therefore, if you are not interested in making your dog look stylish for the fun of it, you should be interested in clothes that protect them and also make them look stylish. There have been a lot of changes in dog fashion over the years. Many luxury brands now make clothes and accessories for dogs in various designs and for each season of the year. Therefore, you can make your dog look so stylish and turn heads when you both attend an event or go out for a walk. 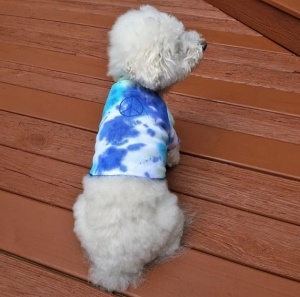 Our top pick for hip outerwear is a Sassy Dog TIE DYE Hippie World PEACE Soft Cotton Knit T-Shirts. Your dog will look a little extra cool in these ultra-vibrant colors. 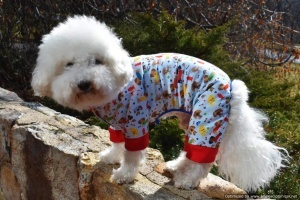 It’s perfect for the fashion-forward dog who wants to have fun doing and the look is expected to trend even more during the year 2019. After being extremely popular in the last year 2018. British Tan Plaid fashion trends never go out of style! For the more classy pooch, Berry Classical Dog Collar & Leash Set is a nice accessory for a special occasion. So the look can be worn year round. Denim, It never goes away! 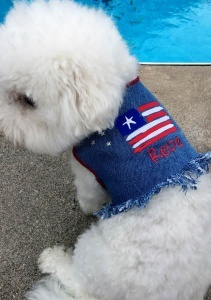 This Blue DENIM Dog VEST Jacket Patriotic Stars and Stripes is expected as one of the hottest street dog fashion trends that every dog need to have in their wardrobe. An elegant American flag accents the back of the vest and your pet’s name looks very fashionable. Stunning fuschia pink color is every time favorite and stylish. 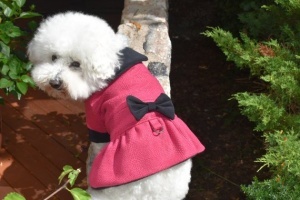 Your dog will look stylishly hot in this superb Chanelesque couture dog coat! We think this dress coat will definitely be trending in 2019. It’s so French!